Island visited by 49 members. 'Oileáin Árann' - a map and guide book by Tim Robinson An Droim Rua is the highest hill in the Oileáin Árann area and the 1488th highest in Ireland. 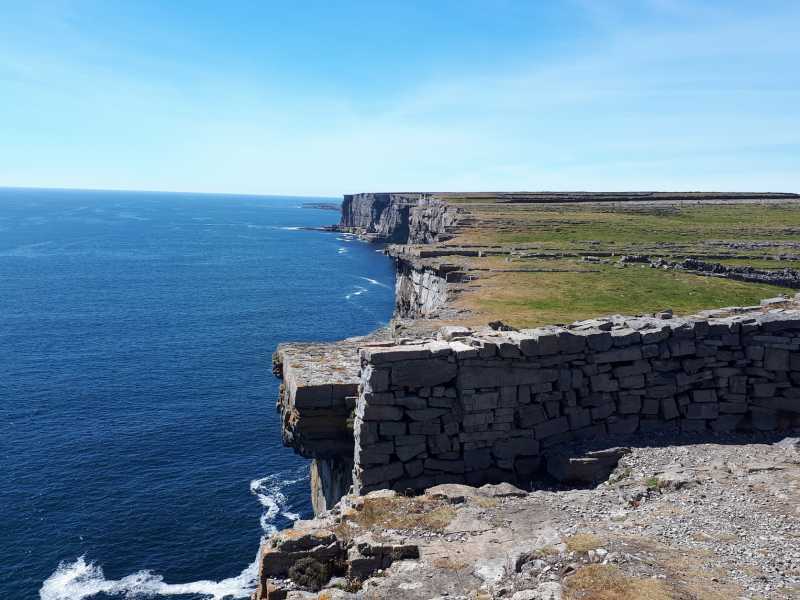 Inishmor is the biggest of the Aran Islands and you would be doing well to walk it all in one go. It could be broken into three sections, the West, the Middle and the East. I took in the middle section as it contains a lot of the highlights. Starting in Kilronan Village follow the road West for a few kilometers. You will then see a road on the left leading up to the old signal station. About 100 metres behind this lies the Fort Dun Eochla and if you are looking to bag the highest point on the island the trig point is about 100 metres South West of this fort. It's difficult to spot as it's built into the wall.